Reduced size for today's smaller frame sizes. Glacier Clear tint reduces distractions from glare. Sideshield Tint: Glacier Clear - Reduces distractions for glare, while providing excellent peripheral vision. 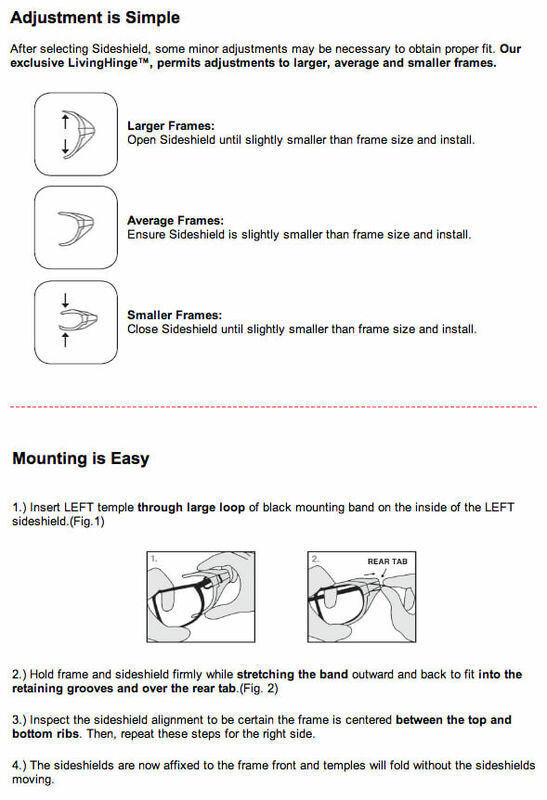 For help installing see our Sideshields Installation Guide.